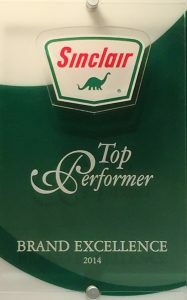 In 1975, Senior used that greeting to found our parent company, Hi-Noon Petroleum. 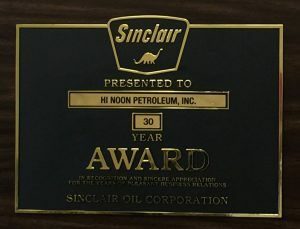 Eventually partnering with Sinclair Oil, Hi-Noon soon became their largest distributor in the state. Today, Hi-Noon supplies quality Top Tier Sinclair Gasoline and Diesel to 45 locations across Montana. In the late 1990’s, the Noon’s Food Stores chain of convenience stores was formed as a part of Hi-Noon with the same ideals Senior used when starting out years before – supporting neighbors and friends by selling quality fuel and merchandise with a focus on great customer service. We keep those hometown values going today! youth sports programs, and more. Most recently, we take pride in providing fuel to the trucks used by the Missoula Food Bank. Check out our community support page for more examples and information. We continue working to provide quality products to our customers. One example is our Noon’s label water – bottled locally in biodegradable packaging to provide a great value while respecting our home. And, our latest addition of Cooper Ranch brand coffee offers our customers rich and flavorful blends without the coffee house prices. Watch our deals sections on this site and our smart-phone app (coming soon) for offers on many of your favorite items! 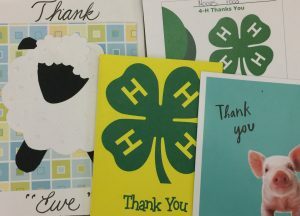 And, we know great customer service by our employees continues to be key to our success! 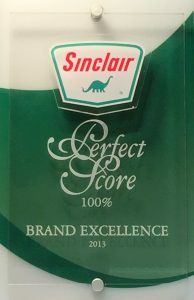 Sinclair Oil has often awarded high marks – even a few perfect scores – to each of our stores in their secret shop and brand excellence programs. And, we are proud and thankful that our friends and neighbors have noticed, too, as they have voted Noon’s as “Missoula’s Choice” multiple times – including 2017! Thank you to our neighbors, friends, patrons, and visitors. 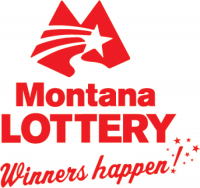 We hope to see you again and often at Missoula’s Hometown Fill-Up!